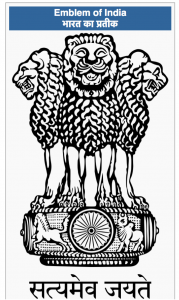 The logo depicts a Lion with one half of an African lion and another half of an Indian lion. The official website mentioned about the logo: “Proud, Courageous, Bold and on the Prowl, ready to take on the future and seize every opportunity”. In the background African map overlapping merges with Indian map in a reference to ancient Gondwanaland when Indian subcontinent used to be part of today’s Africa’s continental landmass millions of years ago. The India Gate, one of the iconic land mark of Delhi, the host city will be illuminated with 3D laser projection showing India-Africa shared heritage and India’s contribution in African peace and prosperity, through out the summit week. Although the Indian (or Asiatic) lion is confined to one wildlife refuge in the state of Gujarat and numbers only around 500 individuals, the animal is symbolically important across South Asia. 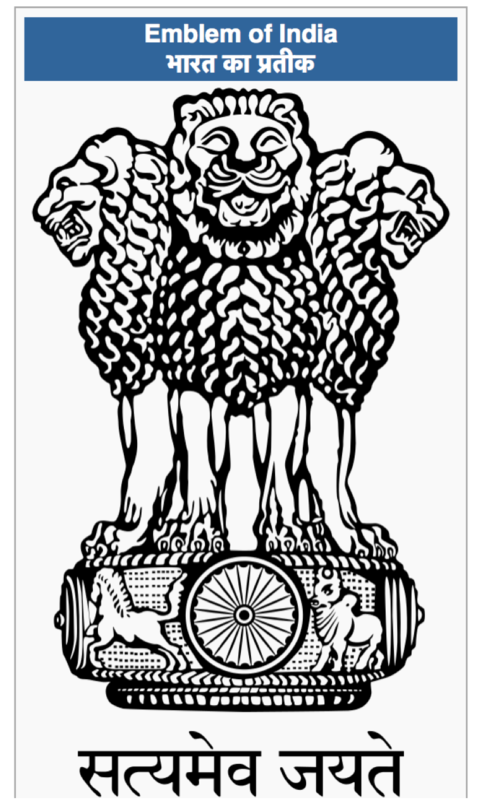 The Emblem of India, for example, depicts lions. 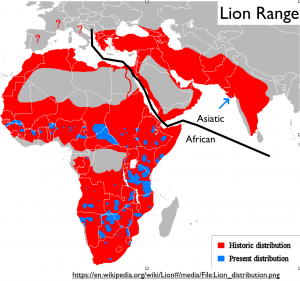 The Asiatic lion has also made an impressive comeback, as it was on the verge of extinction a few decades ago. In early historical times, its rage extended all the way to the Balkan Peninsula. During his address, PM Modi outlined India’s vision and desire to assist Africa with infrastructure building from “Cairo to Cape Town, Marrakesh to Mombassa”. He announced credit at concessional rates of $10 billion over 5 years, in addition to about $7.4 billion that India has already pledged since 2008. “We will also offer a grant assistance of 600 million U.S. dollars. This will include an India-Africa Development Fund of 100 million U.S. dollars and an India-Africa Health Fund of 10 million U.S. dollars,” the PM said, adding that 50,000 scholarships will be given to African students, whom he called the “new links” between India and the African continent. Interestingly, according to reports the Congress leadership has decided to boycott the African summit, to protest its exclusion from all consultations and the lack of reference to Jawaharlal Nehru, the “architect of Africa-India ties”. While denying any official boycott, Congress Leader Anand Sharma told The Hindu that the India-Africa summit’s focus on bringing all leaders together was “condescending”, and said he was “disappointed” that the NDA government had chosen to ignore the contribution of Nehru, adding that even at the anniversary of the Afro-Asian Bandung conference, EAM Sushma Swaraj had made no reference to him.